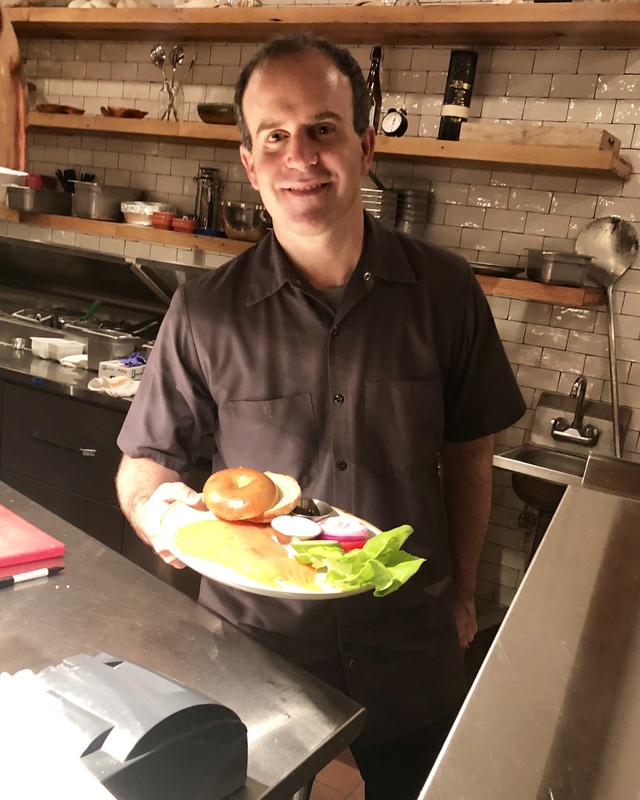 When Chef Alex Levin talks about the new Jewish-inspired brunch at Casolare in the Kimpton Glover Park Hotel, it’s clear that this is a passion project. Levin, who is the executive pastry chef of the Schlow Restaurant Group, says the idea for the brunch came from a brainstorming session with Chef Michael Schlow, Chef Matt Adler, who is Schlow Restaurant Group’s executive chef of Italian concepts, and Chef Patrick Curran, executive chef of Casolare. They were reimagining a menu for the Italian-themed Casolare, and each chef was describing their favorite brunch food. 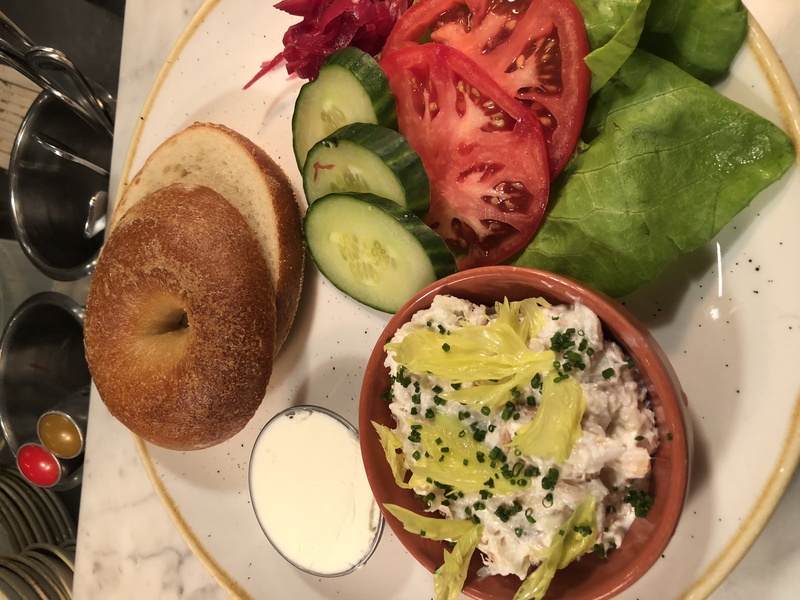 Smoked fish and bagels are Levin’s go-to for Sunday brunch. The other dishes reflect many favorites of the other chefs. 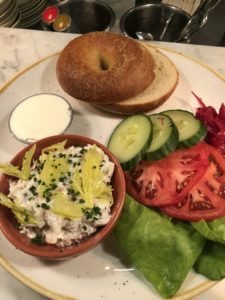 The resulting brunch menu is a merger between New York’s Lower East Side with Rome’s Jewish Quarter. While the pairing isn’t a common one, it works well.